BBVA Compass Bank is a financial service corporation based in the state of Alabama. They have over 716 branch locations scattered over Alabama, Arizona, California, Colorado, Florida, New Mexico and Texas. BBVA Compass Bank is a subsidiary of Banco Bilbao Vizcaya Argentinaria since 2007. To make or receive wire transfers, routing number is essential in identifying your financial institution. 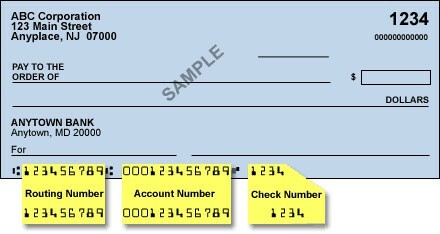 Quick glimpse at your check is an easy way of finding your bank routing number. The sample check below illustrates where to find routing number in Compass Bank check. The ease and speed of wire transfers allow you meet your instant cash transfer needs. Wire transfers come at a fee on incoming and outgoing transactions. Routing number supports successful domestic wire transfers while SWIFT code is handy in facilitating international wire transfers. Compass Bank uses an intermediary bank when receiving international wire transfers. Compass Bank support for domestic wire transfer allows you make and receive domestic wire transfers in your account. International wire transfers in Compass Bank are possible through an intermediary bank. Provide the sender with following details to initiate an international wire transfer. Both international and domestic wire transfer attract a fee. International Wire Transfers – $15 for each incoming transaction and $45 for each outgoing transaction. Domestic Wire Transfers – $12 for each incoming transaction and $20 for each outgoing transaction. Is there any chance I can have a wire returned.